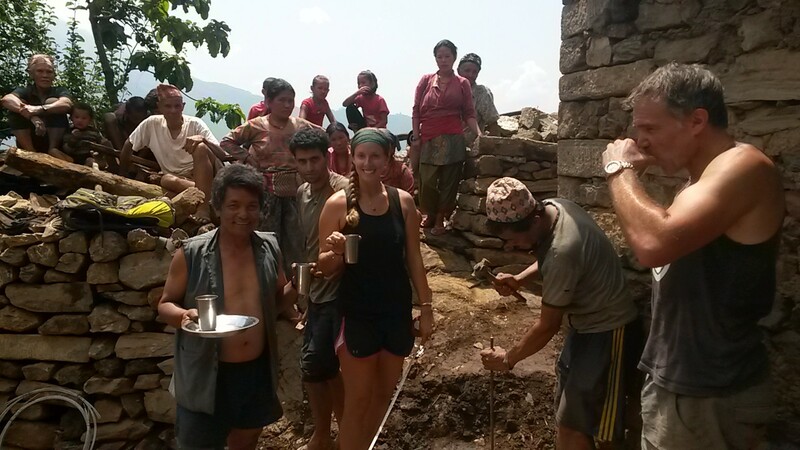 IN THE WEEKS FOLLOWING THE 2015 EARTHQUAKES PREPARATIONS HAD TO BE MADE FOR THE UPCOMING MONSOON SEASON. 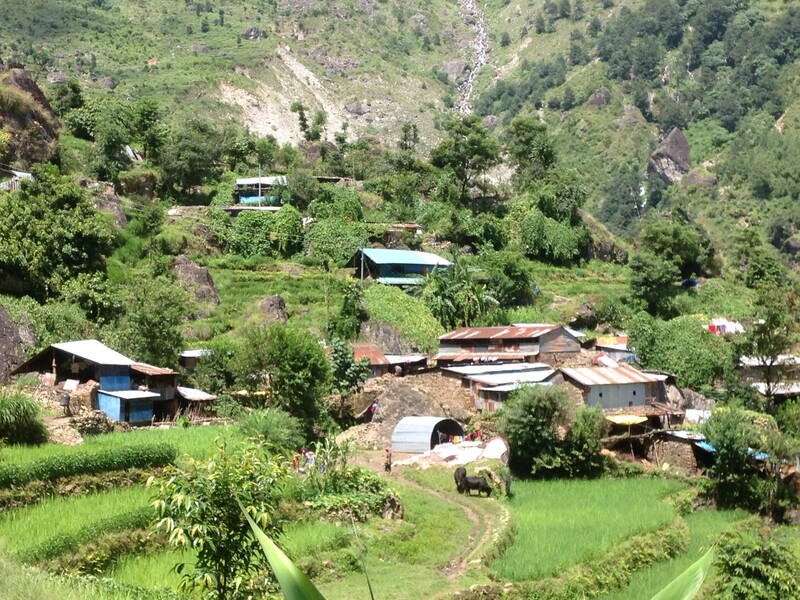 Nepal was in survival mode after the devastating earthquakes of April and May 2015. 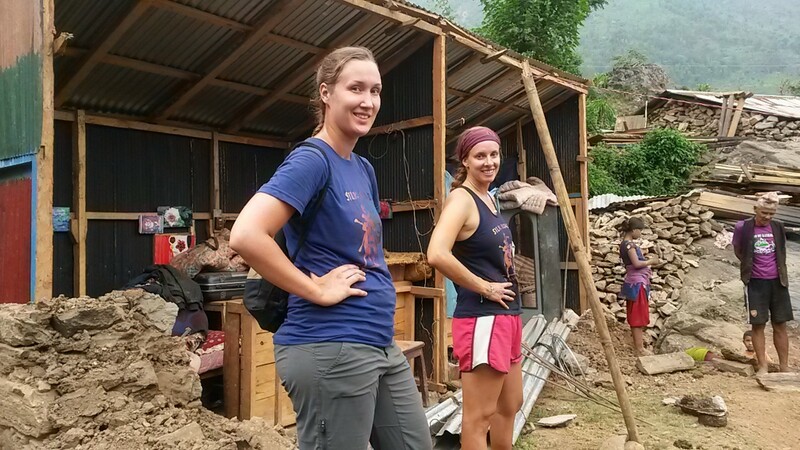 The Active Hearts team were concentrating the bulk of their energy in the flattened village of Gogane, Nuwakot district, and its surrounds. 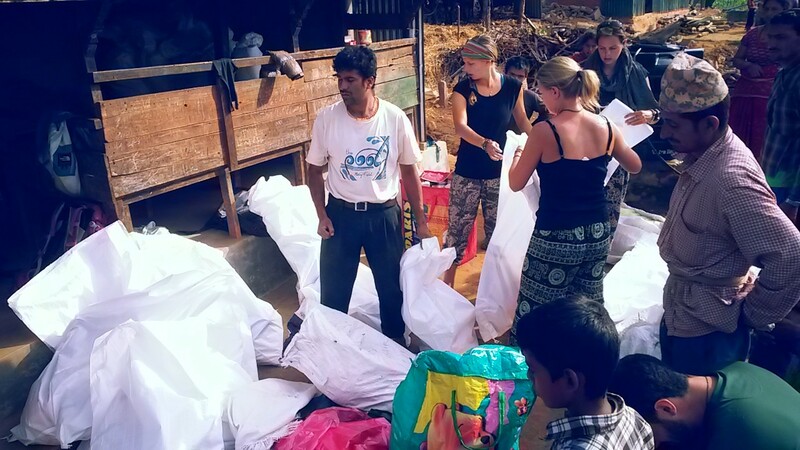 We continued to assist with preparation for the approaching monsoon season. The heavy rains usually arrive in June and continue until the beginning of September. 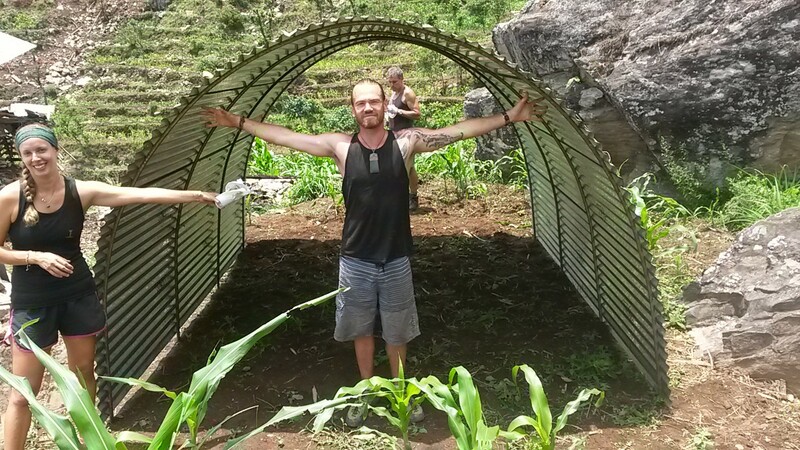 After attending joint meetings with other NGOs, Dan got word of a small crew from California in Kathmandu who were manufacturing a special sort of emergency Monsoon shelter. 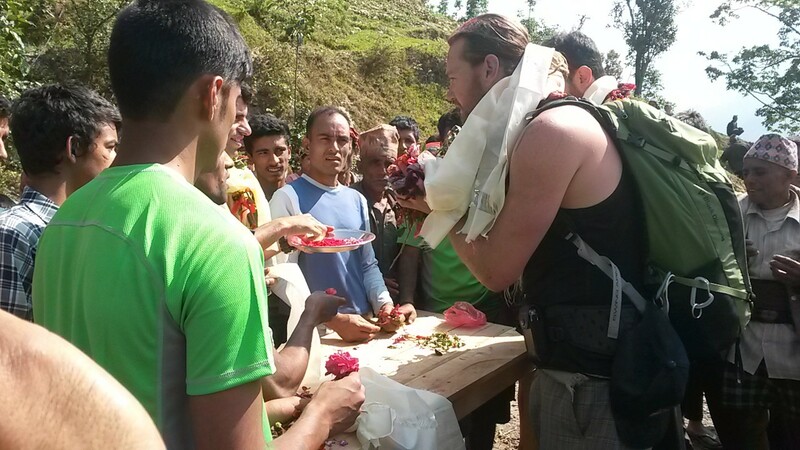 He got in touch with Portal Bikes Nepal. They were manufacturing emergency tunnel shelters using a design that proved very cost effective and successful during catastrophes. A German technician living in Kashmir named Titus Gall developed this to create shelter for victims of the catastrophic 2005 earthquake in Pakistan and India, that killed 75,000 people and left up to 3.5 million homeless. 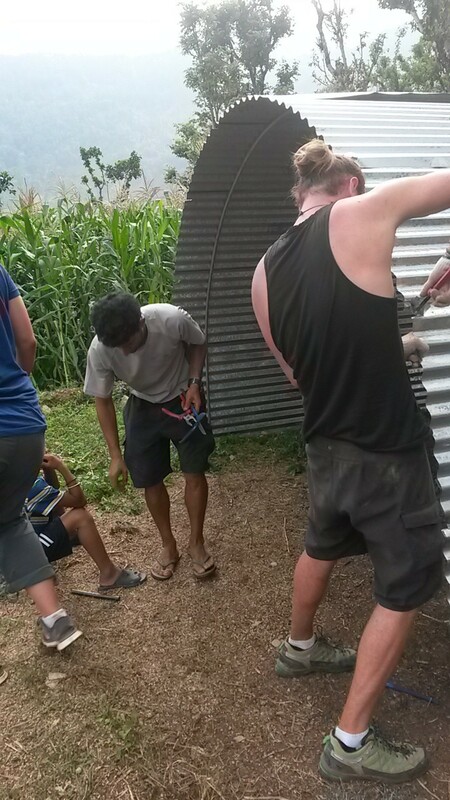 The Nepalese versions of the tunnel houses are made by metal pipes bent into arches with their ends driven into the ground and nine corrugated tin sheets bent over them and tied down with galvanised wires. This creates an 11 x 12 foot tunnel with open ends that can be closed with tarpaulin, brick or stone. Villagers have used mulch or thatch to top the corrugated roofs and protect from heat and cold. 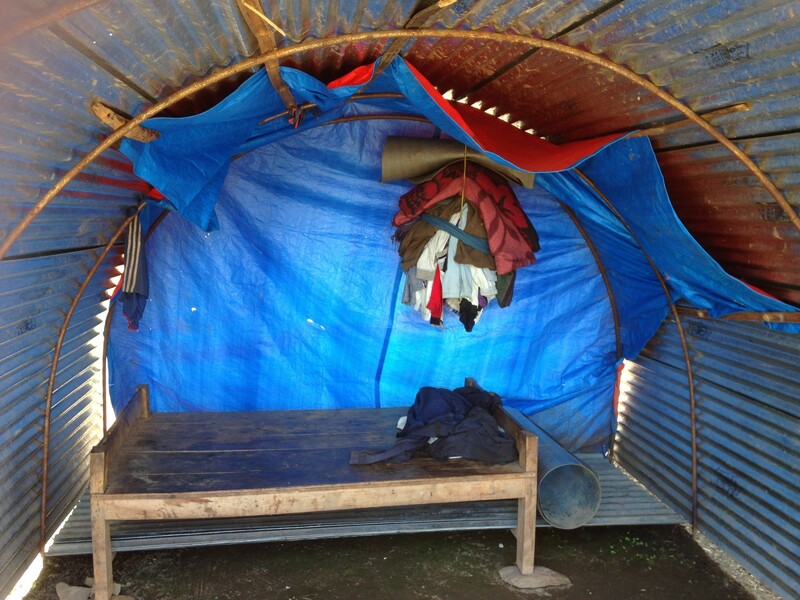 The shelters cost about $100 and take about one hour for two people to build. But cost is a problem; $100 is a lot in a country where the annual per capita gross national income is $730. 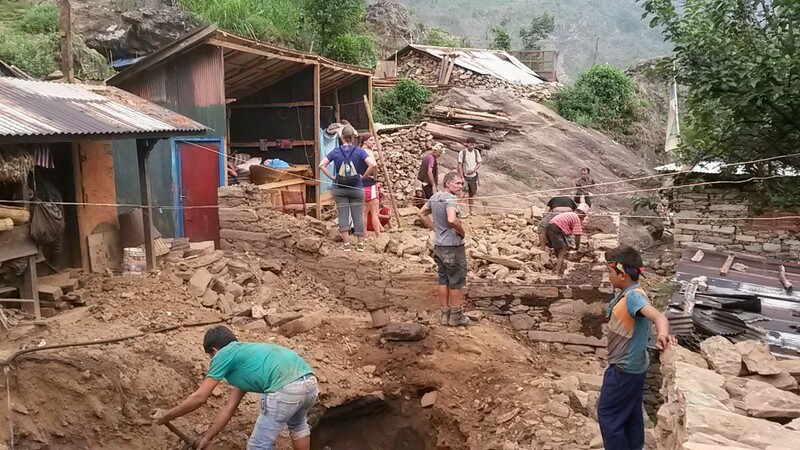 An order of 20 shelters was placed and a truck hired to cart the heavy 1.5T load for 8 hours into the foothills to reach Gogane and Manakamana. It arrived a week later. 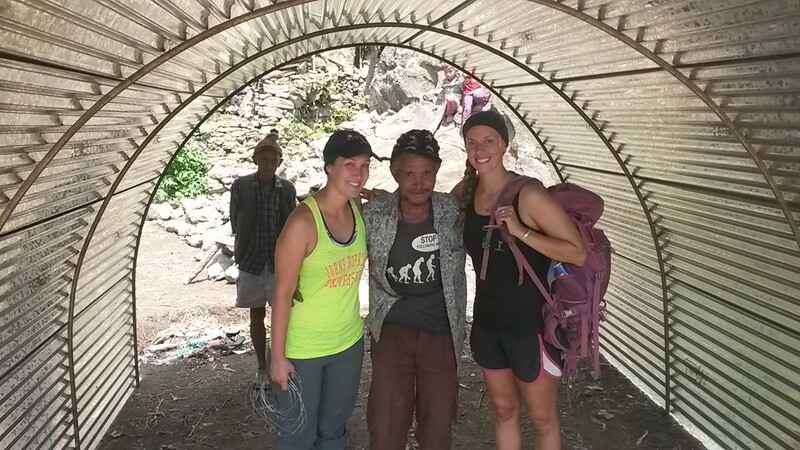 Dan, Kelsey and Jenna were joined by fellow kiwi and all round great guy Roger Mortimer (Roger had been living under tarpaulins with children from a destroyed orphanage as a volunteer in Kathmandu when he contacted Dan offering assistance). 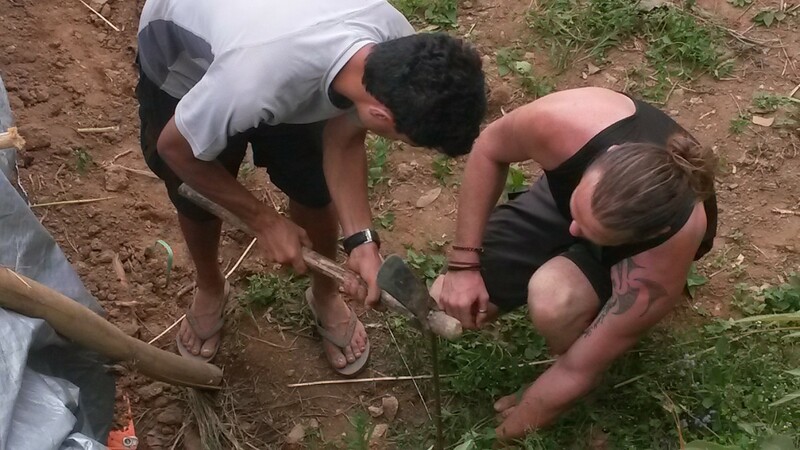 Together with Arjun and local villagers, they erected the shelters for those most in need. 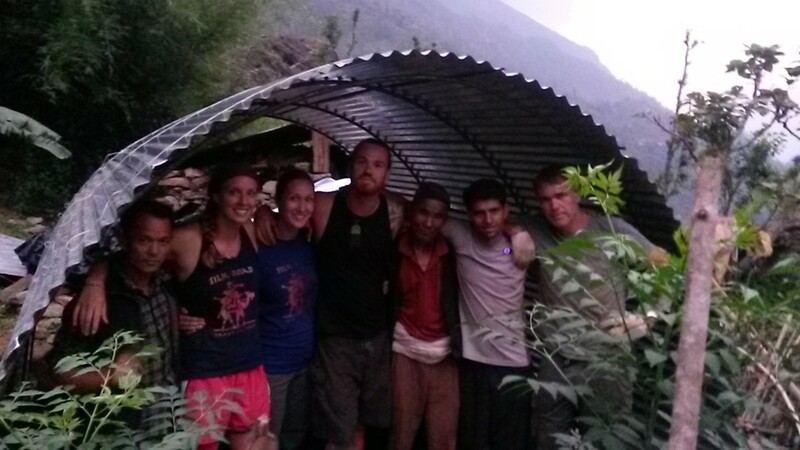 The shelters became a safe, dry place for families that had no means of monsoon survival. 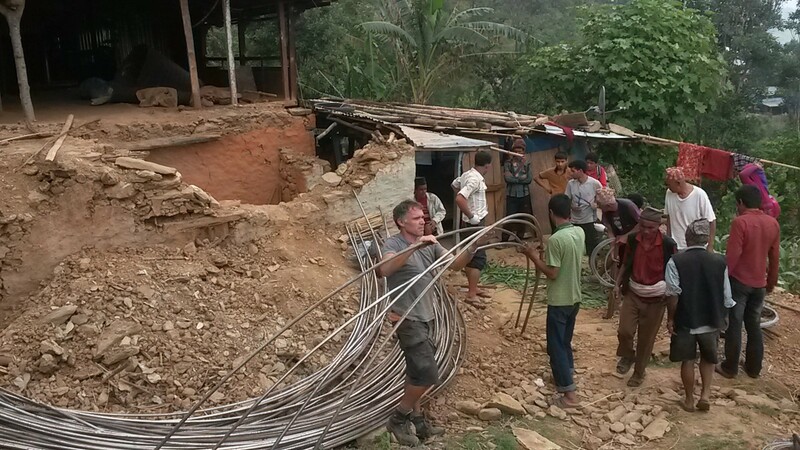 All the materials used to construct the shelters could be reused to build more permanent homes. 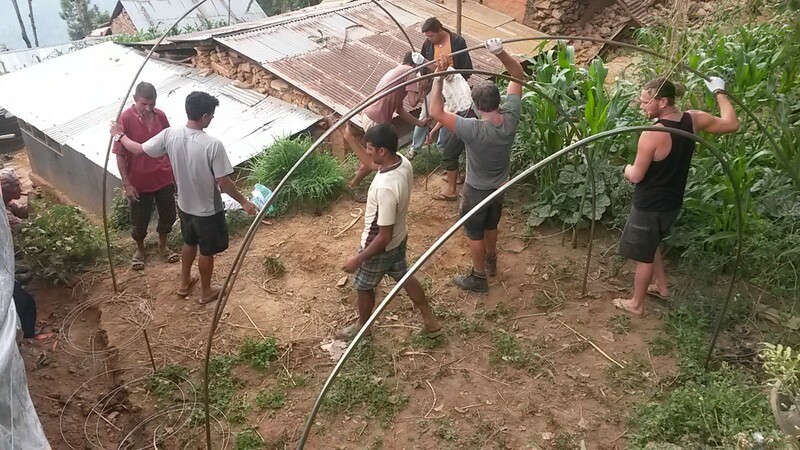 The frames would be used to create greenhouses for growing food and the metal sheets for roofing. 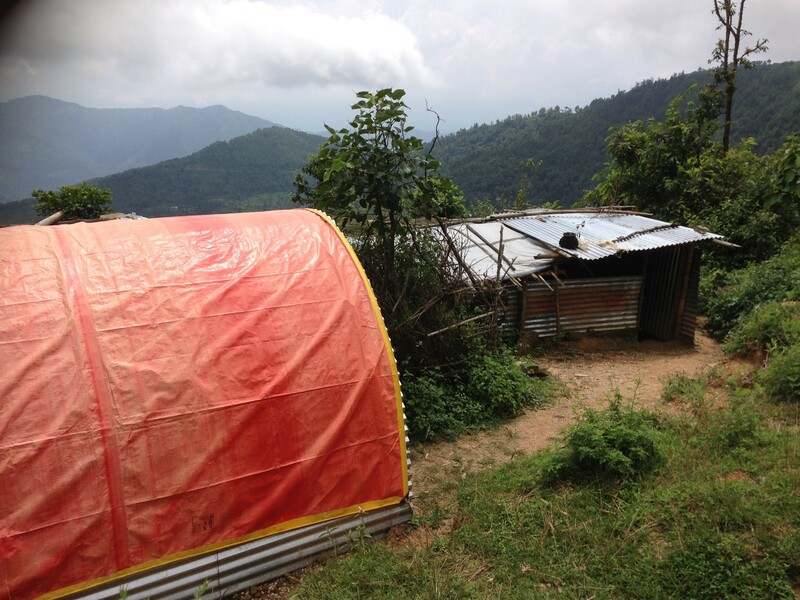 Although a small drop in the ocean in terms of assistance needed, for roughly 200 villagers these small shelters were a saviour during the following monsoon rains.